A shortage of transmissions will halt Golf production at VW's Wolfsburg factory. BERLIN -- Volkswagen Group has rowed back on some demands for larger cost cuts than previously agreed with unions at its core VW brand, the company's labor bosses said, as both sides seek to end a dispute over implementing a turnaround plan. The carmaker's works council earlier this month halted cooperation with VW brand management on issues such as raising weekly hours for engineers and limiting apprenticeships after accusing executives of pushing for savings beyond those agreed in the brand's so-called "future pact." But the works council said on Tuesday management had abandoned some demands, including scrapping a night shift on the Golf hatchback's assembly line and tightening performance-based pay rules. "The works committee has asked management to return to the path towards the future pact," a works council spokesman quoted labor chief Bernd Osterloh as saying at a staff gathering in Wolfsburg, Germany, where VW is based. "We have meanwhile received a letter from management that pledges that we will return to the contract status." A VW spokesman confirmed the letter and said both sides had resolved their points of difference. Management and labor leaders agreed in November to cut 30,000 jobs at the VW division in exchange for a commitment to avoid forced redundancies in Germany until 2025, a deal that leaves profitability still lagging rivals such as PSA Group and Toyota. But the turnaround plan won't yield the quick savings that brand chief Herbert Diess, who was known as a cost-cutter at BMW , is seeking, and labor leaders have accused him of trying to cut temporary jobs more swiftly and deeply. Diess on Tuesday reinforced his call for a swift implementation of the future pact, which he dubbed a "concrete and bold plan" to revive VW's largest division by sales. He did not mention a letter to the works council. 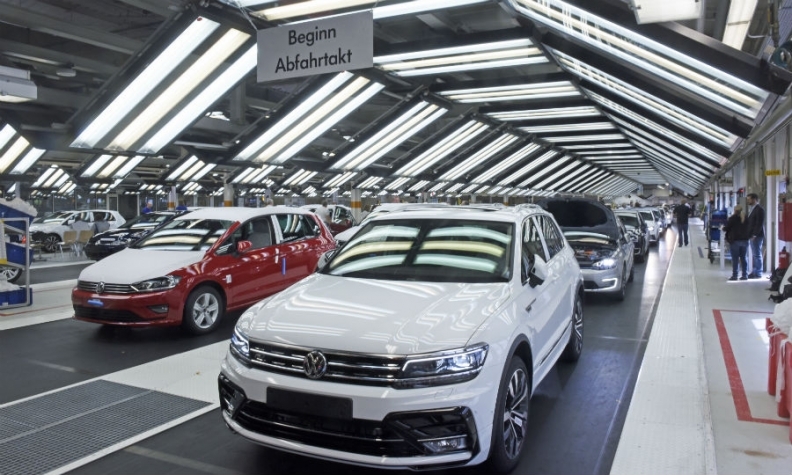 Despite weakening demand for core models such as the Golf and Passat, VW last year started making "first progress" in cutting fixed costs and raising productivity, Diess said. "2017 will be a good but strenuous year," he said. However, a source close to VW's works council said he doubted that the latest rapprochement with management would be sustained. Osterloh, the top labor representative on the 20-strong VW supervisory board that appoints and dismisses executives, has clashed repeatedly with Diess over where to make savings ever since Diess joined VW in July 2015. "It's a matter of time as to how long the peace will last," the source said.